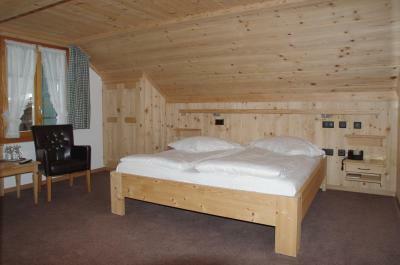 Lock in a great price for Posthotel Rössli – rated 9.4 by recent guests! Lovely cosy and beautiful Hotel. excellent location. Warm authentic atmosphere. Great restaurant! Highly recommended, would love to come back with the rest of my family. 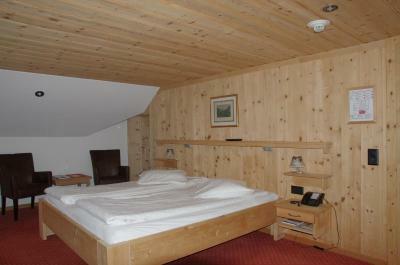 great location,bargin compared to other hotels in Gstaad. 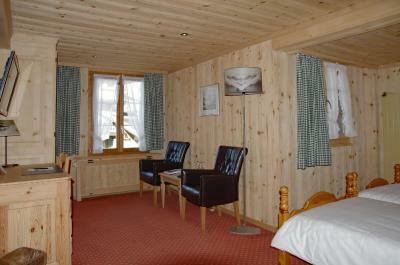 The Hotel is located in the heart of Gstaad 5 minutes walking distance from the station. The staff is very welcoming and helpful even with a 2yo child. They had all necessary equipment for children. 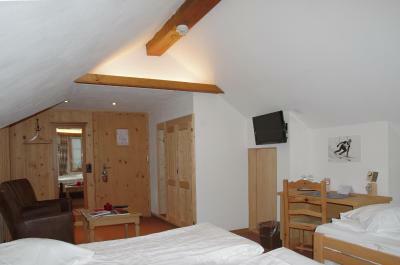 The hotel in itself is very charming and affordable compared to the other luxury hotels surrounding. The food is great : good choice od local cuisine (cheese & meat). Breakfast great as well. 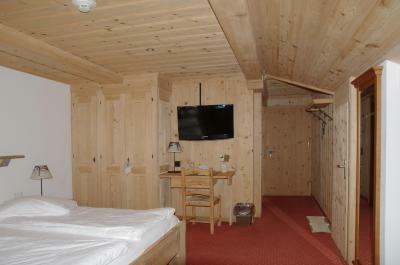 The staff members at this hotel, Posthotelroessli, were wonderful! The morning breakfast was a culinary delight; the hotel is centrally located, has an excellent restaurant, and rooms are nicely furnished. 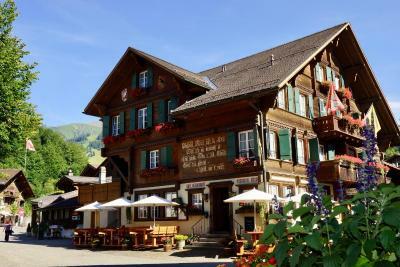 We would like to return to this hotel and to the Gstaad/Saanen region! The staff was amazing, especially the greeting made out stay! 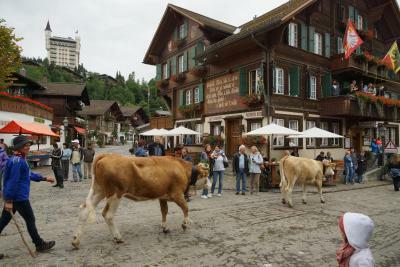 They help us understand everything in Gstaad very nicely. Breakfast was really nice with fresh locally baked bread and fabulous staff support making us feel very homely. 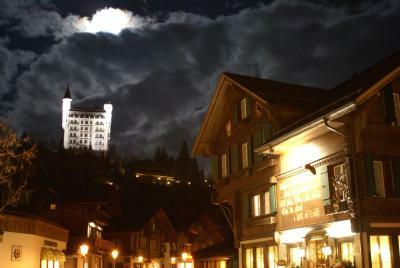 The nighbourhood was also superb right in the middle of Gstaad. A must stay! This hotel was like a fairytale come true. 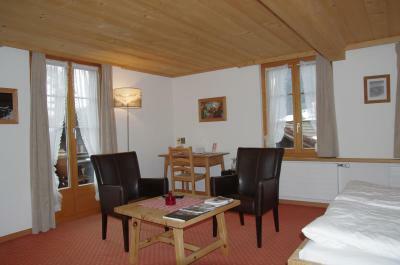 A beautiful chalet, wonderful, attentive and helpful staff all around (special mention to the gentleman who helped us with our parking situation and who was exceptionally helpful and polite and set the tone for a perfect stay). 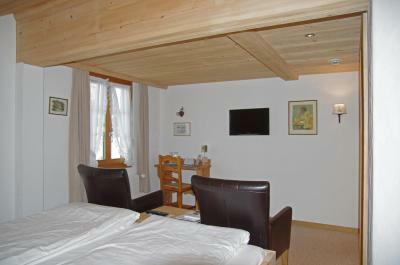 The room was spacious and comfortable, the bathroom practical and modern, the food delicious and the location ideal, being in the centre of Gstaad. I can only hope to return here again in the foreseeable future. Thank you all for a wonderful, dreamy stay! The support we were given to get transport to ski. 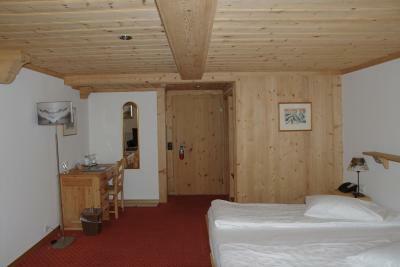 Super charming Alpine style hotel, perfect location & delightful staff ..can’t wait to return!!! 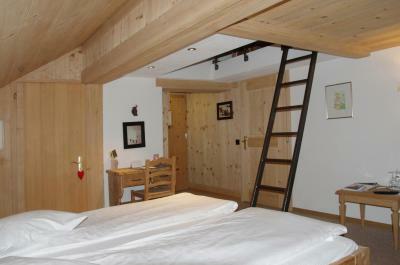 Fantastic location in the heart of Gstaad. 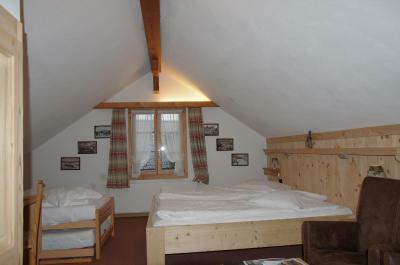 Friendly staff and they have a great family room with the attic for the kids. The food at the hotel restaurant was great. 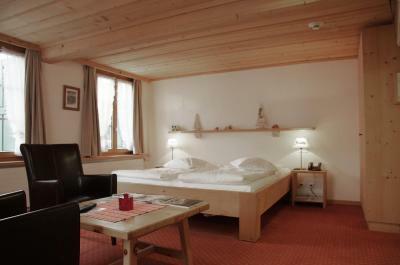 Posthotel Rössli This rating is a reflection of how the property compares to the industry standard when it comes to price, facilities and services available. It's based on a self-evaluation by the property. Use this rating to help choose your stay! 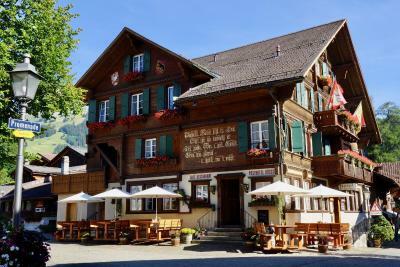 One of our top picks in Gstaad.Built in 1845, the Posthotel Rössli is the oldest hotel in Gstaad and is located right in the pedestrianized center of the village. It offers free parking on site and free WiFi in the entire building. 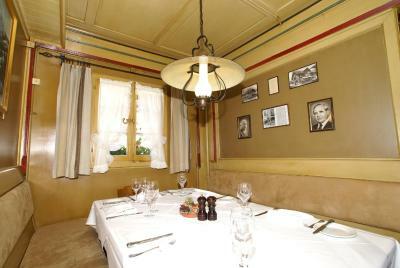 Fine Swiss specialties are served in the hotel's 2 restaurants. 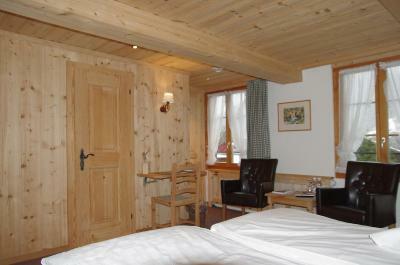 Providing a characteristic Swiss ambiance, the Posthotel Rössli's rooms feature Alpine-style wooden furniture. 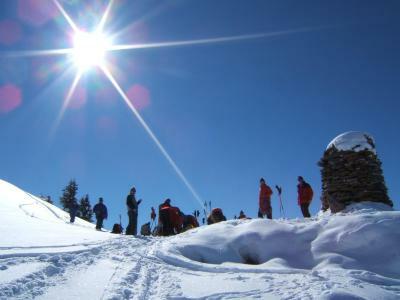 A summer program is offered daily from June until September, including guided hiking and mountain bike tours, climbing for beginners and advanced, a visit to the rope park and to the Indiana Jones Trail on Hornberg mountain. 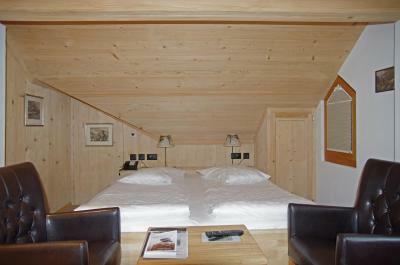 This is our guests' favorite part of Gstaad, according to independent reviews. 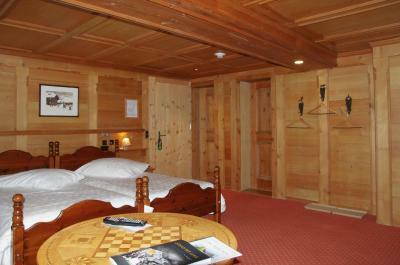 This property also has one of the top-rated locations in Gstaad! Guests are happier about it compared to other properties in the area. 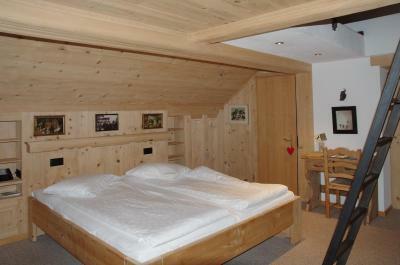 This property is also rated for the best value in Gstaad! Guests are getting more for their money when compared to other properties in this city. 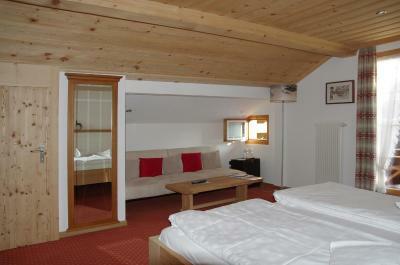 When would you like to stay at Posthotel Rössli? 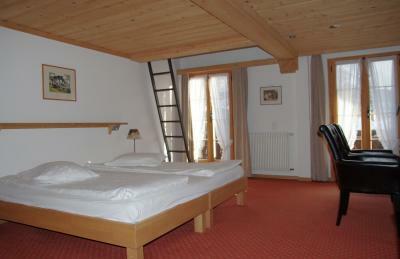 This spacious nonsmoking room has a balcony. 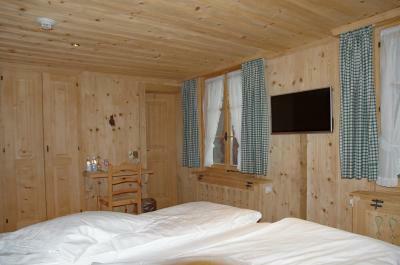 It features a telephone, a mini-bar, a TV and free Wi-Fi. 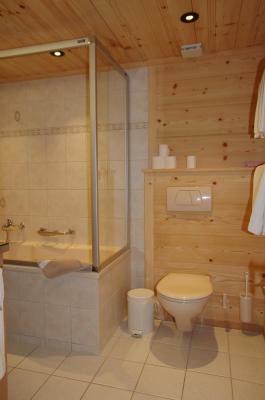 The bathroom comes with a shower and a hairdryer. 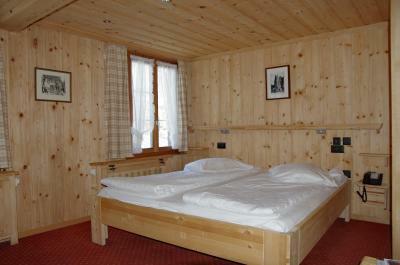 Please note that not every room in this category can accommodate extra beds. Extra beds must be confirmed by the hotel. 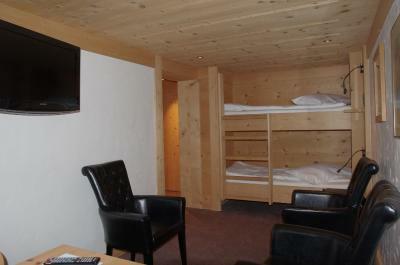 This nonsmoking room features a double bed, a shower, a toilet, a telephone and a TV with radio, as well as free Wi-Fi. 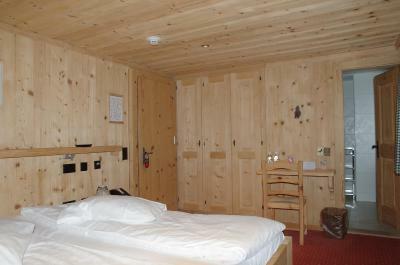 This nonsmoking room for single use features a double bed, a shower, a toilet, a telephone and a TV with radio, as well as free Wi-Fi. 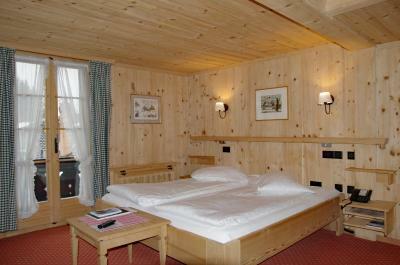 This nonsmoking room features a double bed,a balcony, a bathroom with a bathtub and hairdryer, free Wi-Fi, a TV, and a telephone. 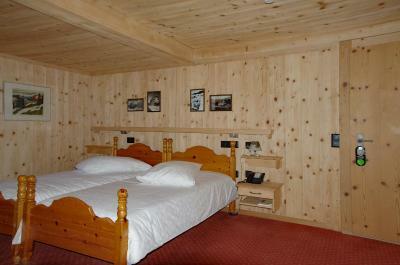 This nonsmoking room features a double bed and a private bathroom with a bath or shower and hairdryer. 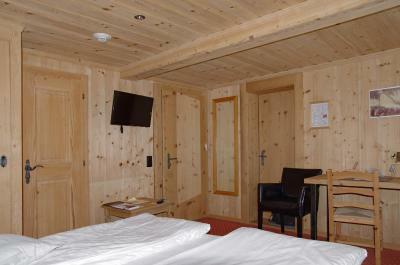 The facilities include a TV, radio and free Wi-Fi. 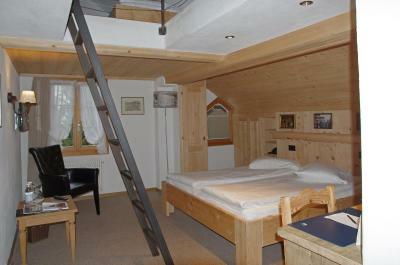 This room has 4 beds, a balcony, a bathroom with bathtub or shower and a toilet, and offers free Wi-Fi. Please inform the property about the number and the age of your children. 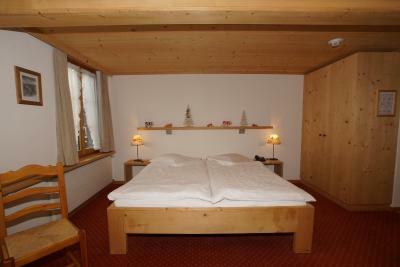 Duplex family room with 1 double bed and 3 extra beds, a bathtub and a toilet. Free Wi-Fi is available. Posthotel Rössli – the most traditional and oldest Hotel in the middle of town! This building was built approximately in 1823 and bought by Bendicht Steffen in 1844. 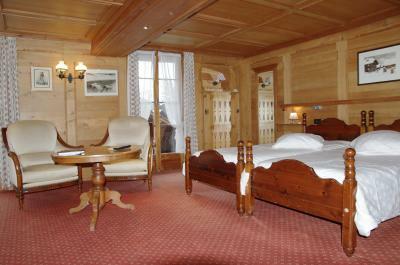 It first opened in 1845 as a guesthouse. Back then it also was used as as a post office. 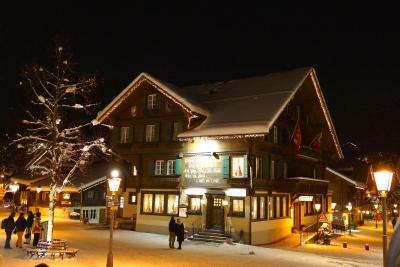 By the way, the Rössli-Hotel is the oldest hotel in town. Since 1922, our family owns the establishment, and today we are proud to be the fourth generation, managing the Posthotel Rössli. 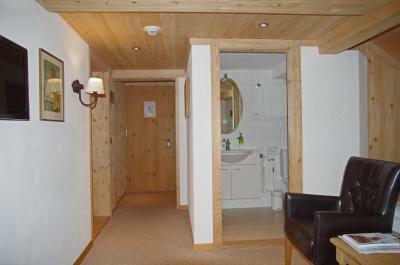 House Rules Posthotel Rössli takes special requests – add in the next step! Posthotel Rössli accepts these cards and reserves the right to temporarily hold an amount prior to arrival. Please note that the hotel has no elevator. 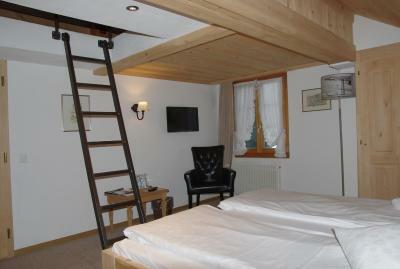 All rooms are only accessible via stairs. 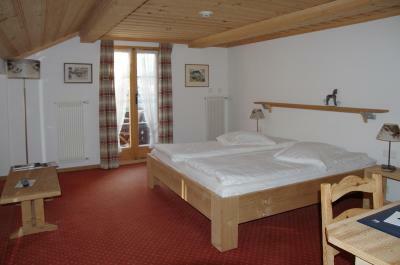 Please note that not every room can accommodate extra beds. 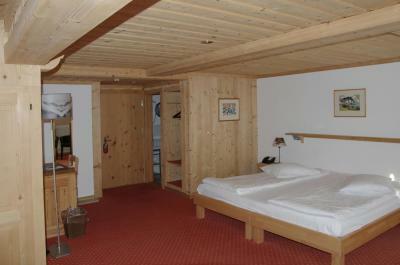 As stated, extra beds must be confirmed by the hotel. Guests wishing to book guided activities during the week are kindly requested to book this a day in advance until 14:00. I would say that the breakfast needs a little more variety (some warm/cooked options would do wonders here), and charging tap water during dinner (or indeed any meal) isn't exactly ideal. Nevertheless, these are minor, insignificant observations and should not hinder anyone from staying at this exceptional hotel. Staff in restaurant are very rude! Wife was unwell and management and staff were so helpful and supportive. Warm welcome upon arrival, staff always willing to find solutions to our questions or needs. 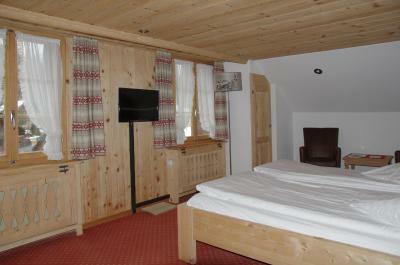 Warm authentic atmosphere in the hotel, tastefully renovated to modern standards of comfort. Great breakfast. 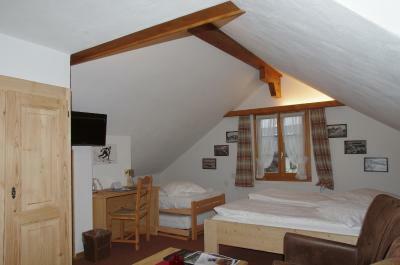 Friendly staff, lovely large room with an excellent bed, and a great breakfast to start the day. 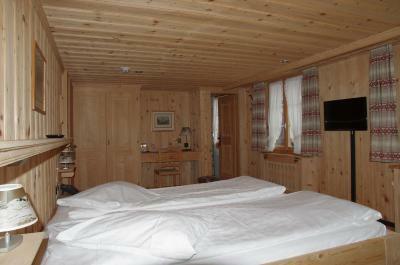 Cozy mountain hotel in the centre of Gstaad. Great restaurant and super friendly staff. Limited breakfast options for vegetarians. Food: The cheese fondue was delicious beyond words. Must have for cheese fans. It can be customized as per the liking's. Room: We were upgraded to king room. 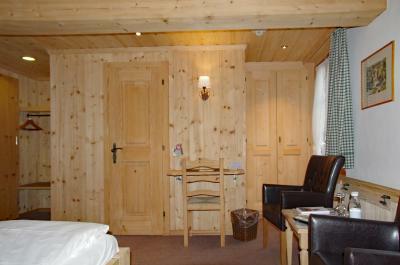 The room was cosy and comfortable. Washroom: Washrooms were well maintained and clean. 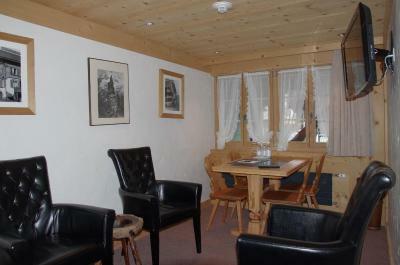 Others: Attached balcony with seating to enjoy hot cuppa and have refreshing views.